On Fountain Pens » Review: Pelikan Souverän M800, Brown Tortoise – Boy, oh boy! The gorgeous colouring was what initially drew me to the M800 – a grail pen for me! I must confess: The thing that initially drew me to Pelikan pens in the first place was the tortoiseshell design. Even though I had heard and read wonderful things about the Souverän line, I just never got around to trying them out for myself. This all changed when I came across both the M600 White Tortoise, and the M800 Brown Tortoise. I instantly fell in love with the colours and the intricacy of the design, with the contrasting hues and the gold trim that complimented both the nib and the barrel. I appreciate the aesthetics of a pen almost as much as its writing feel, and I incorporate my judgement about both factors when purchasing a pen. I don’t want a pen that merely writes well but I don’t like the look or feel of, nor do I want a pen that only looks great but writes piss poorly. I was lucky enough to be able to try out the Souveräns before I bought, and found that I enjoyed their size, weight and feel of writing very much. I got the M600 white tortoise last year to start with, keeping the M800 in mind as a “grail” of sorts. This year, I managed to obtain that grail, and I have no regrets about it. The M800 exudes quality. Holding it in your hand, the length, girth, heft and decor emanate solidity and magnificence. The most obvious thing that you will notice upon seeing this pen is the tortoiseshell motif. The strips are made up of an amalgam of colours – luscious deep browns, blacks and muted greys contrasted with striking orange, handsome reddish-brown and arresting gold. I can’t help but enjoy the beauty of the pen every time I use it. It is eye-catching without being overly conspicuous. Regal and dignified with a hint of flair. It’s just a gorgeous pen! As for the internals, the M800 boasts a wonderfully smooth brass piston. Pelikan’s pistons have long enjoyed a reputation for smoothness and ease of use, and the one in my pen is no different. It was ever so slightly stiff out of the box, however, after a bit of flushing, it eased up and the mechanism then operated effortlessly. The M800 holds about 1.2 ml of ink. This is not a significant difference in comparison to the rest of the Souverän line. According to this comparison chart from Classic Fountain Pens, the M600 is purported to hold the same amount as the M800, while the M1000 supposedly holds 0.1 ml more. 1.2 ml is more than enough for my writing purposes – in fact, I often partially fill my pens, as I enjoy changing inks often. Whether this ink capacity is enough for you is dependent on how much you write, and what nib size you choose. The nib on the Pelikan has some of the most elegant scrollwork I’ve ever come across. Each line is etched perfectly, each loop is deliberate and balanced, and the two-tone colouring compliments this nicely. 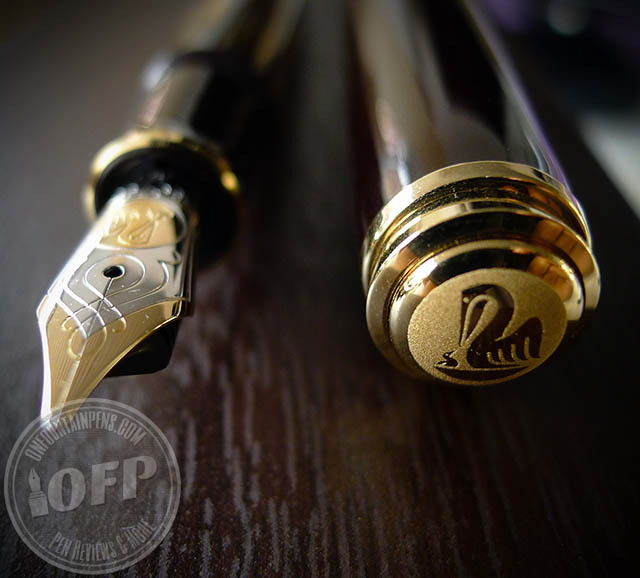 The Pelikan logo in the middle of the nib, emphasized in gold, sets a tasteful statement of sophistication. The actual performance of the nib is where I was initially let down. Despite being a big fan of nibs sized Broad and up, I had decided to go for a Medium, as I had read from various other reviewers that Pelikan’s nibs tended to run a little broader than advertised. After flushing (with both soapy water and plain water), drying and inking my pen with a relatively wet ink, I was surprised at how dry it wrote. The ink flow seemed inhibited, and when I did get the pen to write, it occasionally skipped. I swapped the M for a Broad, and that too suffered from a similar QC issue. The tines seemed to be too close together. After some trial and error with a couple other nibs, I ultimately managed to find a Medium that wrote brilliantly – it is wet and juicy, and glides across the page with ease, with the slightest hint of feedback. This is what I had expected out of Pelikan’s renowned nibs, not the rigmarole of having to hunt for one that wrote this way! As the Brown Tortoise has been sold out for over a year, I had to get mine sight unseen, and thus was not able to try the nib out before I purchased the pen. I’m an advocate of trying out pens in person before purchasing them, as very expensive mistakes can be made. As I had already tried out some of Pelikan’s pens prior to purchasing my own, I knew what the nibs were capable of, and thus I persisted in getting a nib of the same quality as what I had used. I can only conclude that the QC on these nibs had slipped somehow, which is unsatisfactory and unacceptable at this price point. For what it’s worth, I am very happy with the nib I ended up with. It is quite firm, and not springy like the M1000 nibs, but it’s a joy to write with, and the weight and length of the pen unposted provides a very balanced and pleasant writing experience. The nib is on the wetter side, lays down a consistent line, and has a touch of stubbishness. If I had gotten this nib on the pen I purchased, I would have had no complaints at all! The M800 is the step prior to Pelikan’s behemoth flagship M1000. However, it is no slouch on its own. At 5.4 inches capped, 6.37 inches posted, and weighing 25.5 g (according to Classic Fountain Pens), this is a full-sized pen. It completely eclipses the older Pelikan 400, as you can see in the image above. Compared to other popular pens, the M800 holds its own. It is slightly shorter than Montblanc’s 146, is about simliar to Noodler’s Konrad, and is slightly longer than Pilot’s Custom Heritage 92 and Sailor’s Pro Gear Realo. Unposted, the M800 retains its full-sized status. It stands tall against the Sailor and Pilot, and even edges out the Montblanc 146. While the barrel of the M800 is thick (not as thick as say, a Delta Dolcevita Oversize), the section tapers gracefully and offers a comfortable grip. My grip falls into the curvature of the section well, and I suspect it will be able to accommodate most people’s grips easily. The M800 is definitely comfortable to use unposted. It is very well-balanced, and the brass piston provides a nice weight that gives it a feeling of substance. It is not heavy nor is it burdensome, but it’s not a lightweight either. It is going to let you know that you are using it, without being cumbersome, awkward or tiresome. There are very few pens I use unposted – in fact, the M800 is currently the only pen I own that I use unposted. I like that sensation of substantiality, that slight weightiness that provides an air of gravitas. The heft combined with the smooth, firm nib delivers an outstanding writing performance. While I love my soft and springy nibs, I cannot deny that this pen is simply exquisite to use. Assuming you get one of the good nibs that Pelikan are famous for, there is really not much to dislike about this pen. Pelikan pens are considered classics, and it’s easy to see why. The build quality of the pen is impeccable – every detail of the pen shows comprehensive flawlessness, from the exceptional piston to the beautiful clip and the impressive finial. While it is unfortunate that I encountered some nibs that were sub-par (and there really should be no reason for them to exist at this price point), the nibs that do live up to Pelikan’s reputation are delightful to use and offer a superb writing experience. As for the brown tortoise design, what can I say. Quite simply, it is stunning, and what drew me to Pelikan’s Souverän series in the first place. 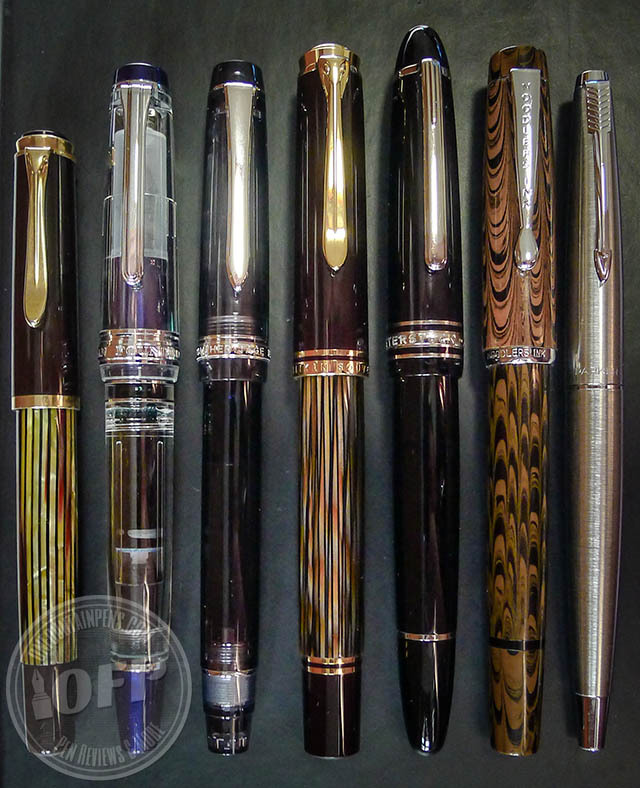 Without the tortoise patterns, I do not know if I even would have picked up a Pelikan of my own, but I’m very glad that they appealed to me so much that I had to get them. The M800 is a star performer, and is a great pen regardless of its colour scheme. 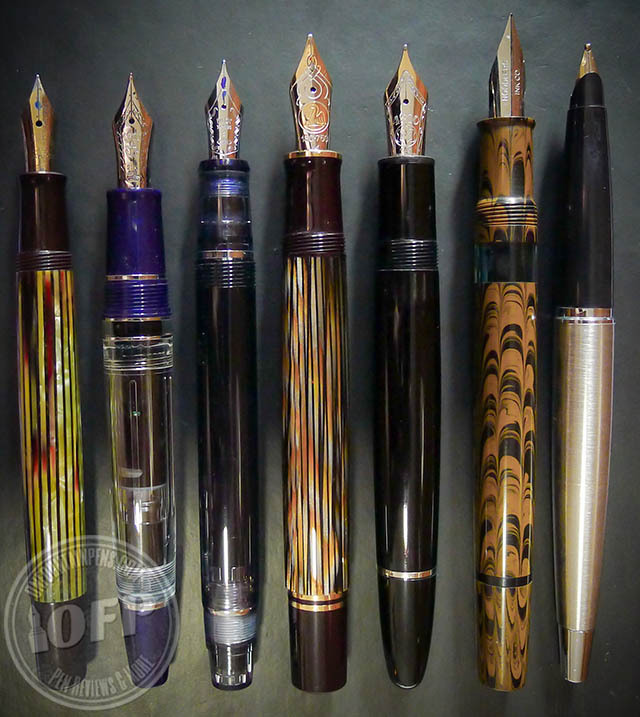 I do think they would be a magnificent addition to any fountain pen user’s collection. I agree that it was a QC issue, I purchased an M600 late last year and its broad nib was juicy and smooth as Pelikan is known for. Beautiful pen. I just bought one myself over the holidays from printhardcopy in Singapore. And, I was lucky enough to find one with an oblique broad nib, which is now one of my favorite nibs of all time. Plus, the pen is just gorgeous. My M805 had the same issue with the dryness. I opened up the tines a bit, and it was a perfect writer after that. I agree that you shouldn’t _have_ to do that, but I feel like lot of manufacturers are starting to have their pens put down drier lines. Thank you, Matt. I’m a fan of your blog and I appreciate you taking the time to comment on my post. I am envious over the OB! I am getting in a BB to try out – hopefully it fares well. The dryness of the nib was incongruent with the general consensus of semi-wetness from the wealth of reviews on Pelikan’s pens out there, which was why I was so surprised. I took it as a QC issue, thinking that the tines were too close together, but if the industry is moving toward drier lines these days then I’d say the original nib I got fit that standard.